I got the news concerning the World Buddhist Forum about 2 days ago. I waited a while, to avoid to write something too… Arrgghh! 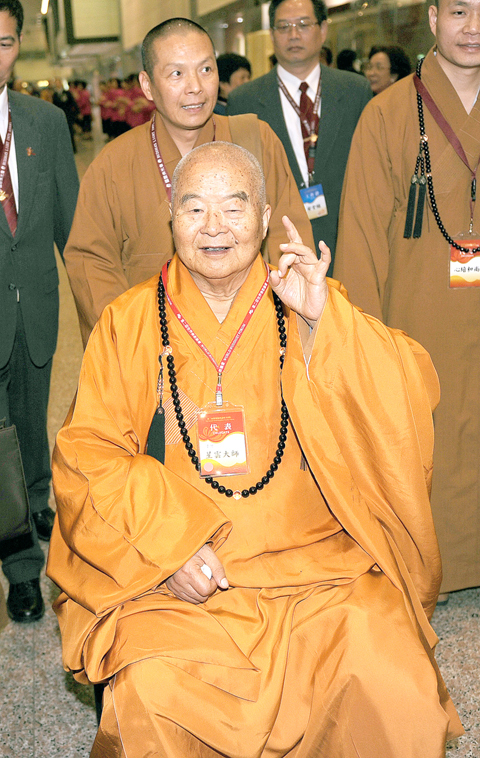 And now, according the master of Fo Guang Shan, there are no Taiwanese in Taiwan (even after the recent DNA study?). How come he could say that? How come he could be part of this Chinese political game? Sure, he is a Master but first at all, a man. A man who came from China. A man who accepted to participate to a Chinese forum which rejected the coming of the Dalai Lama. A man who said that in China and Taiwan, all are brothers and sisters. 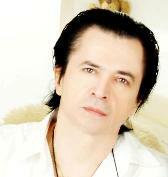 Maybe I am wrong since more than 15 years… Since I became Buddhist, studying Tibetan and Chan Schools. But no all Buddhist are playing this game. But no all Taiwanese Masters are playing the China’s game. But as I suppose, many like me, do not mix up Buddhism and politics. Still, I feel very shocked. Anyway, there is a new prediction, which this time concerns the ECFA (Economic Cooperation Framework Agreement between China and Taiwan). if an economic cooperation framework agreement (ECFA) is signed between Taiwan and China,the gross domestic product will increase by 1.374 percent in 2010. Without the ECFA, (minister) warned, the economy will shrink (GDP will shrink by at least one percent). A large part of the population, businessmen and academics worry about this agreement. So as usual, the cabinet is trying to scare the people: if we don’t sign, it will be like hell! But you know what is funny? NOBODY knows anything about the content of this ECFA. Moreover, the funny stuff is that officials said that nothing is really totally done and negotiated about this ECFA. How did the minister could obtain a so precise estimation? Not something about 1% or between 1 and 2 %. Taiwan: The Bottle Is Half Full or Half Empty? There was an election yesterday in Da-An district (Taipei – TAIWAN) in the wake of former KMT legislator Diane Lee’s resignation in January over a dual-citizenship controversy (According facts mentioned in newspapers, she hold a dual citizenship – American/Taiwanese, which is illegal and she got taxpayers money during 14 years). * The speech of the president lauding the “Taiwanese miracle” before referring to Taiwanese as “descendants of the Yen and Yellow emperors”… Oh yes? DPP could still say that it obtained more than what it got in previous elections in that district. And Taiwanese still believe that Taiwan will remain Taiwan? What would he say here? Anyway, give bread and games and people will be happy, right? So, the bottle is half full because DPP got more than in the past or the bottle is half empty because KMT still won elections? 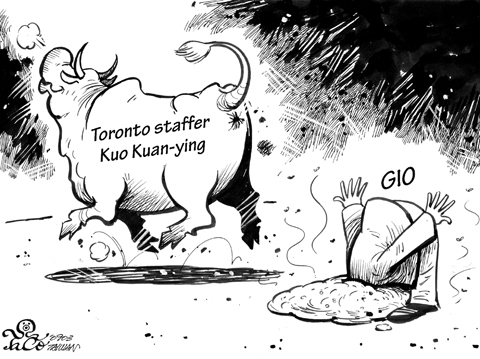 Finally, the Government Information Office (GIO) fired Kuo. As protests against Kuo and against the GIO’s handling of the case failed to let up, the government body held a second meeting during the afternoon and announced Kuo was receiving two major demerits, equivalent to his dismissal. So, if I have well understood, his superiors fired him from his official position in Toronto. I got answers to my questions concerning Kuo: will he keep his civil servant status or not. But the part concerning the pension must be confirmed by Civil Service Protection and Training Commission. Kuo’s articles were published between 2005 and 2007 when the Democratic Progressive Party (DPP) was in power. Does it mean that all the mess is the responsibility of the opposition party? But I think I misunderstood. I posted almost 10 days ago about the civil servant (M. Kuo) working for the Taiwan Government Information Office in Toronto, who allegedly made racist remarks against Taiwan and Taiwanese. Since the news came out, what was done by the Cabinet? One could have the feeling that the pan-blue camp and the government are protecting in some ways those people (by the way, I do not remember that the president said anything…). But beside this aspect of the situation, the lack of action and decision is creating a big turmoil and unrest. If people in charge made the right decision, it would never happen. Even the Prime Minister did not know? He still wants to achieve the stage of a “public consensus”. But how if the agreement is already signed? Consensus on what? Consensus on the fact that people may disagree? “We welcome all those who feel they have something to lose from an ECFA to speak up and voice their concerns. The government will examine the situation and include any items that may cause problems later,” Ma told reporters at the Presidential Office. “We will continue to communicate with the public on the ECFA issue, but we won’t [abandon] the agreement because the opposition parties are against it,” Ma said. … When asked to comment on Tsai’s call for a debate on the issue, Ma said a debate was not necessary. And we are supposed to believe what the “Region Administration” is saying? Usually in democratic countries, agreements with other countries must be approved by the legislators. Here, not. So… Does it means we are not talking about 2 different countries? Just one country across the strait?